​Then to the cafeteria for refreshments and presentations! Raffle prizes for us slow pokes! You can create teams! Teams of ten or more people will receive T-shirts with the team name printed on them! Please note: ​As flat as this course is it still has slight inclines/declines and a small patch of loose gravel. Since it's a double loop course you have the option of finishing after one loop. 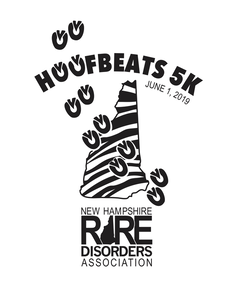 Hoofbeats 5K is made possible by people like you! We have a variety of volunteer needs. Use our contact form if you're interested in volunteering.